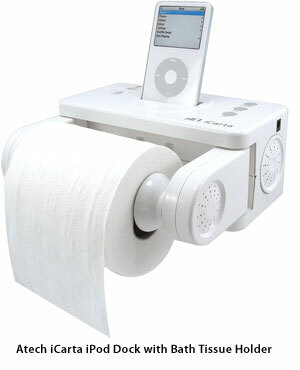 Made For iPod: Compatible with all iPod with dock connectors. No pricing information exists on Atech’s site. According to the SCI-FI Blog, it looks like it’s priced at $99.95. No reseller information is available. MacDailyNews Take: Have fun, punsters! Ur blog was very useful for us. i will say thanks you very much for sharing the awesome info!